Yes, I know its only October and Christmas is still a good ways away, but when I decided that I wanted to tackle this DIY I thought it was best to start early. Last Christmas I saw these ornaments everywhere and I wanted to get one, but I thought they would make a good DIY project. So, with a sharpie and a white ornament I have started a new hobby! Caution: These are very addictive once you start making them! All you need to make these are white christmas balls and sharpie colors of your choice. I recommend getting a few extra sharpies it is amazing how much ink these use up. I found these at Walmart in the seasonal department. They were 8 to a box for about $4. Then you will want to find some inspiration. I looked around the house at different blue and white vases and jars that I had and then made my own version of them on the ornaments. 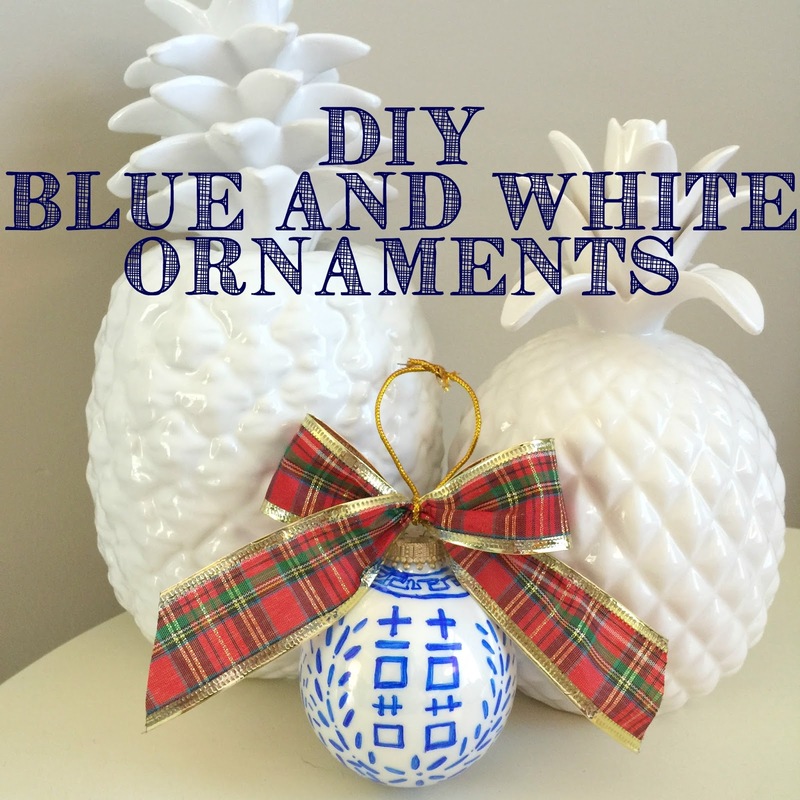 You can also google blue and white ornaments or blue and white ginger jars and there is a ton of inspiration for you to use. Or you can always just wing it, that is what I ended up doing on the ornament below and it has become my favorite design. Don't worry about being a perfectionist, if you look at blue and white pottery you will see imperfections in most of them. Just think of the imperfections as your own stamp on them! Good Luck! If you decide to make them, please tag me in your photos so I can see!